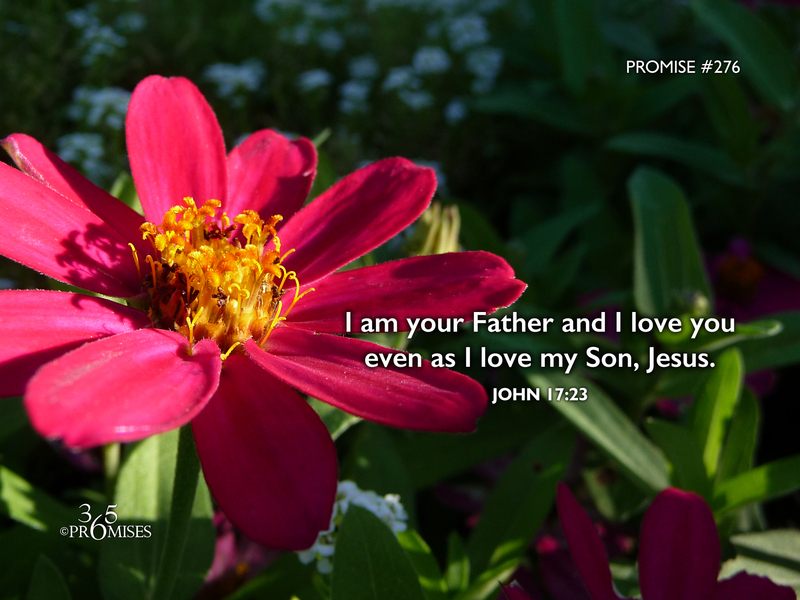 I am your Father, and I love you even as I love My Son, Jesus. and loved them, even as you loved me. For those reading this devotional thought who might not be familiar with this expression, this verse really, really amazes me! I can understand that God loves Jesus completely and without reservation because Jesus is His perfect Son. But to think that God the Father loves me exactly the same way that He loves Jesus? Wow! The truth is that when we became born again, we were united with Christ in every way. In today's Bible verse, Jesus describes it by saying... "I am in them, and you in me." When our God and Father looks at you, He sees you through the finished work of Jesus Christ. In Galatians 2:20, the Apostle Paul said "No longer I that lives, it is Christ that lives in me". Because I am in Christ, and Christ is in me, the love that the Father has for Jesus is exactly the same love He has for me! The truth is that there is nothing that we could do to make God love us any MORE than He does right now... And on the flip side of the same coin... There is nothing that we could ever do to make Him love us any LESS either! Don't try to understand God's love, just receive it like a little child! God is your Father and He loves you even as He loves Jesus!